I have a fascination with aircraft of any kind, and to me, vintage airplanes have the biggest attraction. There is something about a machine constructed of wood, fabric, and metal in perfect form and function, which allows a human to fly. I was driving by a small privately-run airfield and noticed this biplane on final approach for a landing. It wasn’t easy to miss the bright yellow paint against the blue sky. I pulled over, grabbed the camera and ran up to the fence to get a couple of shots. I wasn’t in time to get photos of the plane while in flight, but I did get a few as it taxied back to the hanger. 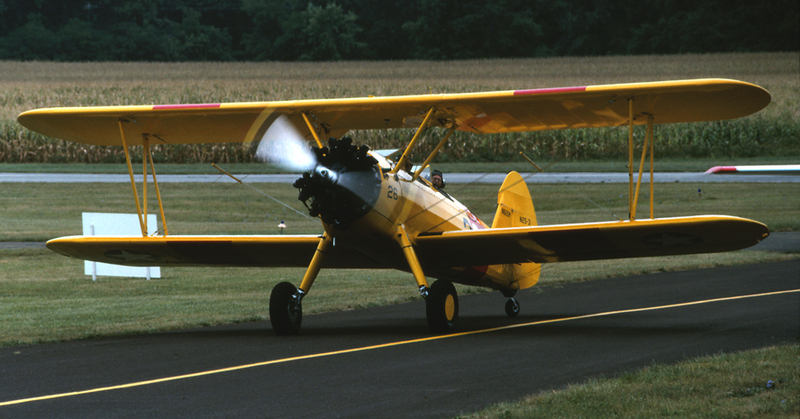 This is a Boeing-Stearman. They were made in the 1930’ thru the 1940‘s and used primarily as training aircraft. Recently I was watching videos by photographer Bryan Peterson on various photographic hints and techniques. Primarily, I was interested in honing my skills using a flash. I learned a lot of useful and creative methods for using flashes in outdoor photography. Then I watched whatever was next in line. One exercise he demonstrated caught my attention, and it had nothing to do with flashes at all. He used common household items as props to create fun and interesting abstracts. Here is my take on it. You will need a few things to get started and there is no need to buy anything or even leave your house. First thing you will need is a tripod although if you do this outside and it is bright enough, you may be able to go with hand-held. Next you will need a clear casserole dish, some water, cooking oil, and a brightly colored shirt or fabric of sorts. I used both patterned shirts and solid colored shirts to see the different effects. 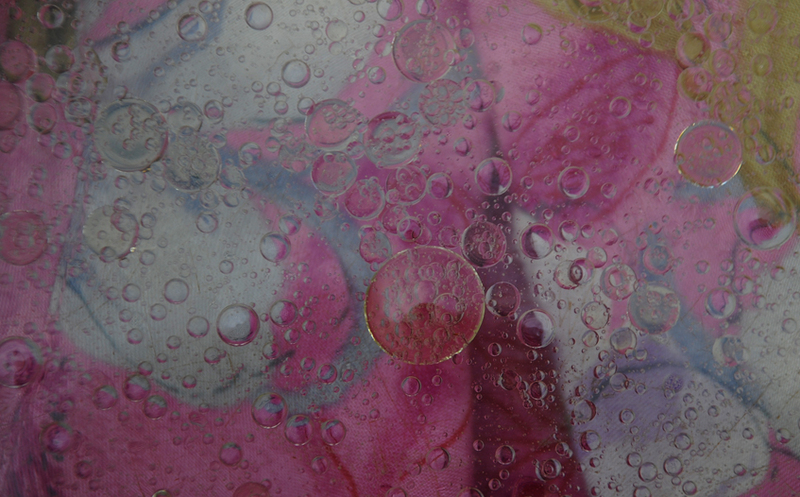 Place the fabric of choice, which will be the background of the photo, on a table or even the patio or deck. Prop up the casserole dish slightly above the shirt with whatever you have around. Wooden blocks, books or even several drinking glasses. The idea is to elevate the dish so you can change out the fabric easily. Set up your camera on the tripod so the lens is parallel with the bottom of the dish. Add some water. I filled my dish about 1/3rd of the way. Then add some cooking oil. Since oil and water don’t mix, the oil forms all these neat circles floating on the water. With the fabric underneath the dish, the patterns and colors take on a whole new look. Play around with different exposures to obtain the look you want. Drawing a spoon or your finger slowly through the mix will make different size circles. Or even stir it a little to make millions of small circles. All three shirts I used were of different colors and each produced totally different effects. Give it a try…it’s a lot of fun! It’s mid-week, time to slow down the hectic pace, take a deep breath and relax. 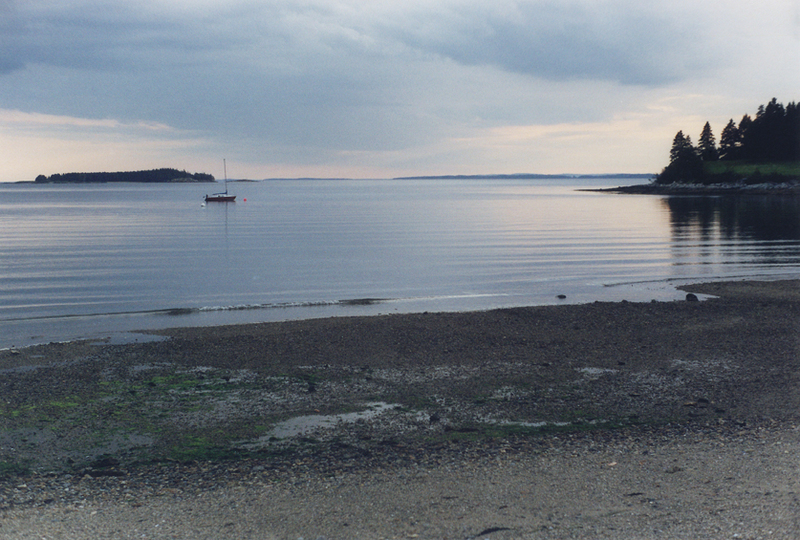 The photo is of Blue Hill Bay, Maine, in the morning. I love the movement that is captured when photographing waves. Especially waves crashing against rock outcroppings or jetties. Whenever I am in a place where the surf is especially active, I like to sit down on a good rock and just listen and watch. The sound and movement is mesmerizing. I will then get the camera out and scout for a good location to capture the power of the sea. Getting close to the action can yield spectacular images. When using a short or wide angle lens versus a telephoto or zoom lens, it’s a good idea to have a spotter nearby to alert you of a rogue wave. While waves tend to follow a pattern, there is always a chance one wave will be larger and more forceful than previous waves in the series. You don’t want to be caught off guard and lose your footing and take a tumble, and have your equipment getting swept out to sea. Timing is another aspect that needs to be considered. 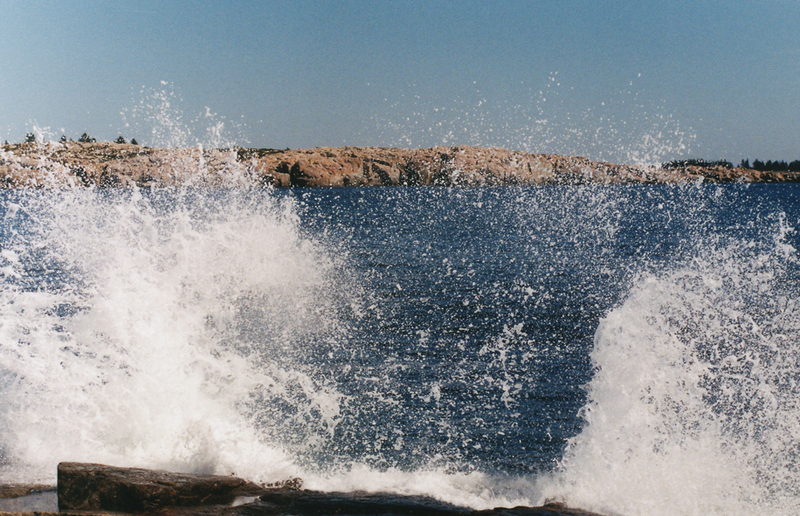 Use a fast shutter speed if you want to stop the action of the waves. In order to capture the perfect moment in time, I set my camera to fire a burst of shots. If you are shooting on a sunny day, and want the water to have a silky appearance, using a neutral density filter or a polarizing filter will restrict the amount of light through the lens, which in turn can help achieve a slower shutter speed. This photo was taken hand-held at the water’s edge of Schoodic Point, Maine. While I was shooting a series of waves crashing on the rocks, I was warned that this incoming wave was larger than the previous four or five waves. I fired off a burst of shots, and quickly got up to get out of the way, but I still got soaked. Luckily the rest of my equipment was several yards behind me, safe and dry next to my spotter. In the area where I live, we have received very little rainfall this summer, except for last night’s deluge. It’s been super hot and dry, yet with high humidity. The weatherman predicts storms, and we see them on the radar, but they always seem to swerve out of our way. It’s either an attempt on the weatherman’s part to be funny, or there is a force field over the top of the mountain here. 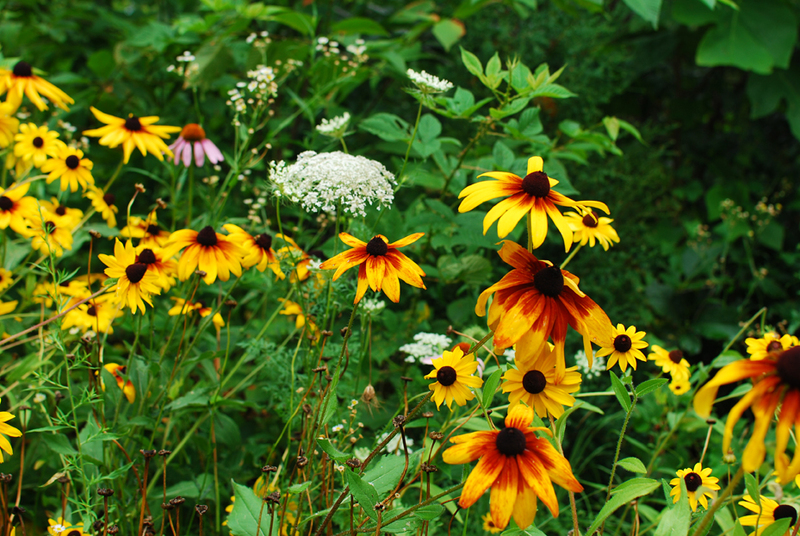 Compared to earlier this spring when the neighbors wildflower garden was profuse with color, the lack of water this summer has dramatically affected the garden. The plants bloom, but the flowers only last a day or two. Although, there are some late summer plants that are thriving in the dry conditions. With any luck, we will get some relief soon and the garden will have a chance to put on a show later this season. Neighbor “P” and I discussed the idea of running a hose from his house to a series of soaker hoses out to the wildflower garden, but after we priced out 600 feet of hose, we felt mother nature would be the better route to take. Good thing is, last night’s storms confirmed our decision. 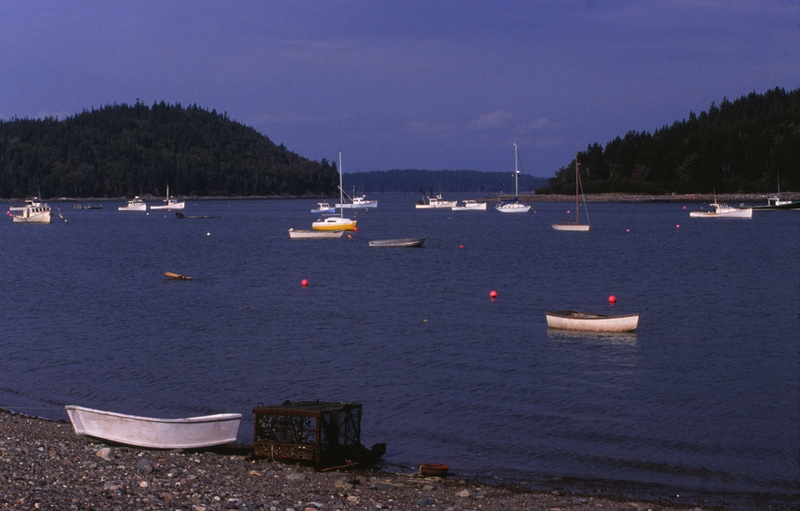 Some of our favorite places to visit in Maine are the small quiet harbors away from the tourist areas. One of our recent stops was a place named Sorrento Harbor. It is a small cove where both working boats and pleasure boats share the same anchorage. We arrived at the waters edge in late afternoon, just as the sun was beginning to cast a golden glow. I was taking some shots of the boats in the water when a small school bus pulled into the parking lot. A dozen children and two adults got off the bus and walked out to the end of the floating dock which is just out of view in this photo. They paired up and got into several dinghies and rowed out to small sailboats moored throughout the cove. We heard the adults give some instructions to the children and they began to navigate their vessels around the obstacle course of the anchored boats. Apparently this was the last class of the school day for these kids. How cool is that! Among all the glitz and glamour of the casinos currently lining the boardwalk in Atlantic City, New Jersey, you can still find things from yesteryear in this beach resort. 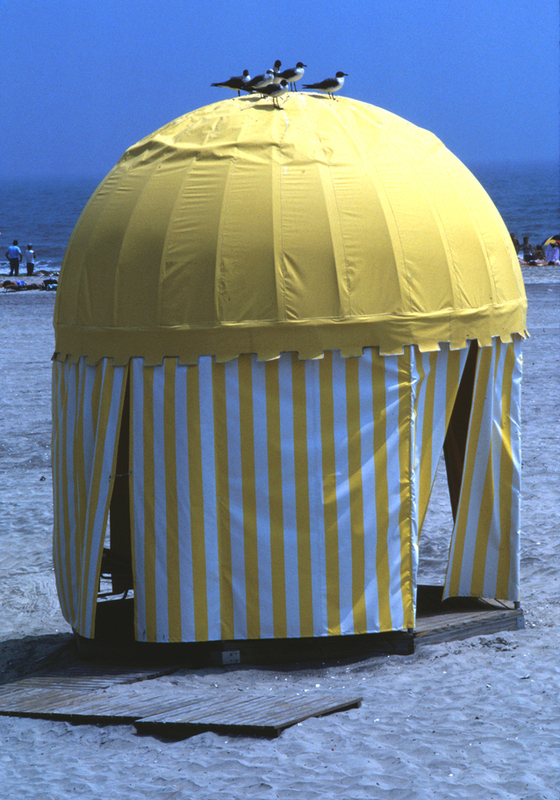 There were several of these old style changing tents on the beach between the boardwalk and the water’s edge to provide a little nostalgia, and privacy if needed. I liked the bright yellow of the tent with the ocean and sky as a background. And the birds on top were the icing on the cake.